Part of the process of getting there was working through the characters’ GMC (goals, motivation, and conflict) to understand them more deeply. What I find most useful about GMC is that it gives me a way into my character’s head. The jury is still out on whether or not I’m more of an intuitive writer (one who excels in character and dialogue but has a hard time with plot and structure) or a conceptual writer (one who does well with plot and structure but struggles with the character and dialogue). So far, my take is that I’m more of a conceptual writer. Note: If you’re interested in seeing my entire character profile template, you can download a copy of it at the end of this post. We break goals, motivation, and conflict down into both external and internal GMC. This helps us understand both what’s driving the character externally and internally. This syncs up nicely with Shawn Coyne’s External Content Genre and his Internal Content Genre, though they are different tools (I’ll write about this more in a future post — The Story Grid* methodology has completely rewired my brain for story in an incredibly useful way). Here’s an explanation of External and Internal GMC. The character’s EXTERNAL GOAL is the WHAT they are trying to achieve or accomplish by the story’s end. This cannot be vague in any way. 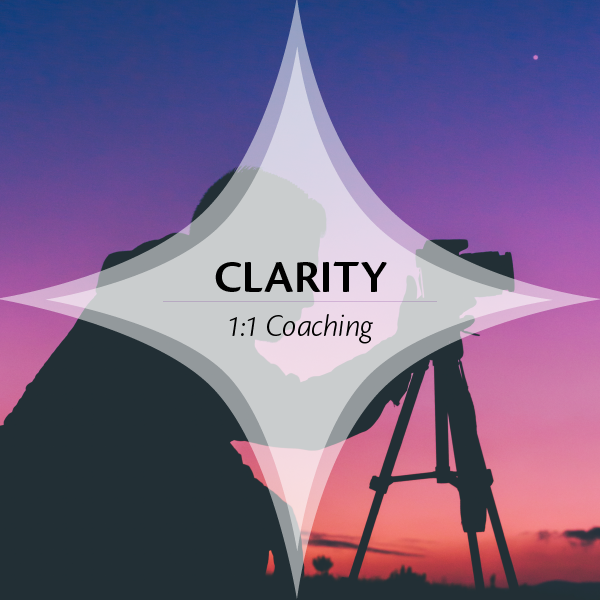 Cathy Yardley once told me that an external goal has to be something that you can easily check off in a box when it’s done. For example, disable the bomb, check. Or, catch the bad guy, check. It can’t be something like “get my mom to approve of me,” because it can be too unclear about whether or not that has actually occurred (although I suppose it could be verbally said, “I approve of you” but there’s still room for interpretation — does she actually mean it, etc.). The character’s EXTERNAL MOTIVATION is WHY they are trying to achieve that goal. What reason do they have for trying to reach their goal? What’s at stake, what are the consequences if they don’t make whatever it is happen? That’s their why. For example, everyone in the building will die (if the protag doesn’t disable the bomb). Or, the bad guy may kill again. This can be considered the “Because” clause. The character’s EXTERNAL CONFLICT is the OPPOSITION to achieving the goal. What or who gets in the way? Usually this is the antagonist but it could also be the establishment, the environment, etc., if it’s a human against the state or human against the world kind of story. This could also be considered the “But” clause if you think of these as a sentence. For example: Carly wants to disable the bomb because otherwise hundreds of people will die, but the antagonist has hidden the bomb and is taunting Carly with killing people one by one as clues until she finds it. The character’s INTERNAL MOTIVATION is WHY they want to feel that way. Often this is tied to their backstory, or personal goals outside the story. The internal motivation is the emotion that drives the character. For example, a character may have been overly controlled for her entire life by her parents, so she’s trying to create an independent life for herself. The character’s INTERNAL CONFLICT is WHAT might be stopping her from reaching that state of being. This could be caused by the character themselves, but it can also be tied to the external GMC and cause problems for in achieving it. With our example, our character might suffer from insecurity, and keep turning back to her parents for help. I like to put these together in a chart, like the one below (spreadsheets are handy here), though I also just make bullet point lists when I’m writing in Scrivener since it doesn’t play that well with tables. Conflict But the antagonist has hidden the bomb and is taunting Carly with killing people one by one as clues until she finds it. But she struggles with insecurity so keeps turning to her parents for support and encouragement, and even worse, now needs their help her track down the bomber. It’s useful to see how the internal and external can work together here. I often rework these multiple times until I feel that I’ve landed on something that works. And then I’ll often rework it again, once I’ve finished a script, because I tend to pick up more nuance and information as I interact with the character over the course of the story. Want to Check Out My Character Profile Template? It includes the GMC points I outlined above along with a handful of other useful and streamlined items I assemble for each character. It comes in a PDF and RTF format, along with a Quick Start Guide. You can import the RTF into Word or Scrivener for easy customization and editing. 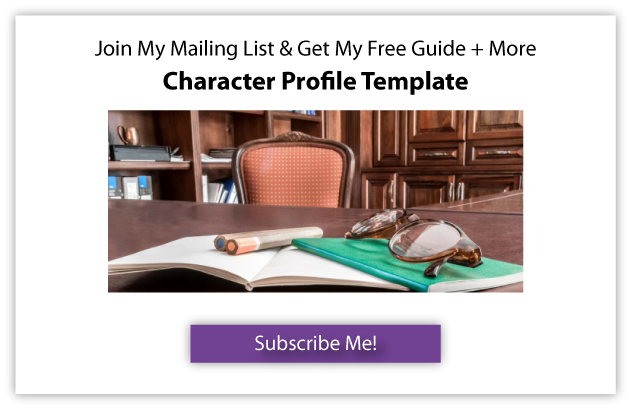 Click below to subscribe to my mailing list and download my Character Profile Template (and other guidebooks for writers) now. Apparently I think in sevens a lot, at least when it comes to writing about writing. As I was reviewing the most-read posts of 2014, apparently sevens were appealing to you, too. When you get burned out, it’s hard to do anything, let alone be creative. In this article, I outline seven steps you can take to go from creative burnout to creative recovery, so you can bring back the joy you feel when you create. This is an important skill to master because sometimes — even when we’re doing our very best to keep the creative well filled and do our writing at a sustainable pace — resistance, deadlines, life, and fate conspire to the point where we’re scrambling to finish a project under a big time crunch, binge-write, and exhaust ourselves as a result (sometimes doing so for days, weeks, even months on end). And once we’ve hit that bottom of the creative barrel, writing anything sounds entirely miserable. Read this article to find out how to bring yourself back into creative balance. Sometimes as writers we get into a good writing practice but still manage to become complacent about actually FINISHING projects and moving on to the next one, rather just making small amounts of progress or endlessly rewriting and editing. When that happens, it’s time to recommit, and raise the bar of our own expectations. In this article, I discuss seven ways to stop phoning it in and require more of yourself as a writer. Read this article to find out how to to recommit to your own writing. 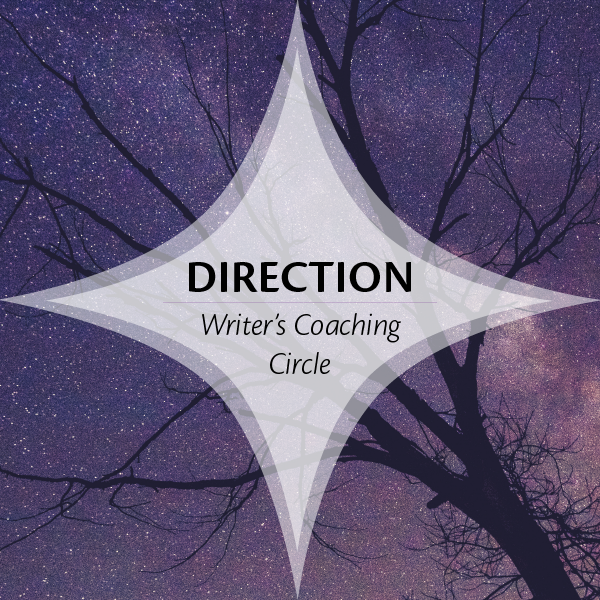 In this terrific guest post, Writer’s Circle coach and produced screenwriter Sarah Newman talks about how to stay in action and keep moving forward with our writing even when fear and uncertainty rear their ugly heads. She shares a list of seven great ways to get unstuck and keep writing that I’m sure you will find both handy and inspiring. 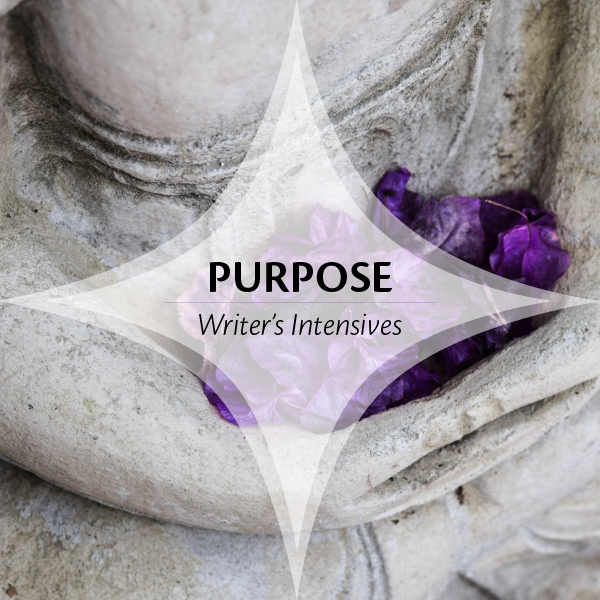 Read her article and discover how to get into action with your writing. Our most recent “7’s” post was my seven-part series, called “Make 2015 Your Year to Write”. If you missed it, it’s not too late to work with the writing prompts in the series that will help you design and create goals and resolutions for your writing year (2015 or otherwise!) so that they are well-aligned with what you want in the big picture. That way you can make sure you’re working grounded in the reality of where you are right now as a writer and where you want to end up. This article was your favorite “7” post, and it’s one of mine too. And it’s no surprise. Procrastination is one of the biggest things we struggle with as writers. In the piece I talk about the most common reasons for procrastination and seven ways to beat it, including some things you may not have thought of, like setting super small micro goals, telling others about what you’re doing to create accountability for yourself, and knowing when to STOP writing. Check it out here and bust your own procrastination habit while you’re at it. This week I taught a class called “Get Ready For Summer Writing” with an eye toward looking ahead to the summer and getting a writing plan in place to deal with the various obstacles and opportunities that arise around the summer time, like the kids being home, schedules changing, more traveling and vacations coming, and dealing with weather changes like it being unbearably hot (or suffering through the summer fog here in the Bay Area!). We walked through a planning exercise to give some thought to where we want to be at the end of the summer and how we’re going to get there in terms of words or pages per day over the specific duration of the summer. I also shared some tips, tricks, and strategies to keep writing during the summer, deal with the challenges, AND have the summer fun we’re all longing for. One of the biggest mistakes I see people making when it comes to summer writing (or writing at any time, for that matter) is taking an all-or-nothing approach. Many people think that if they want to travel or be outside or take care of kids or even deal with major life transitions, that means they can’t write. The key is being willing to adjust your writing goals to match to your circumstances, not give up writing altogether. While I know that some writers have a tendency to binge-write (and some people even advocate for it! ), I remain highly skeptical of its sustainability in the long term, particularly for more sensitive types. I put in an extra effort a few weeks ago to get my script to my mentor in anticipation of submitting to a contest today (gulp) and even that extra effort set me back a bit. 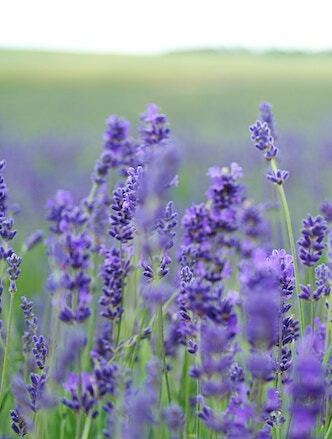 It’s all a system of checks and balances, and while there are people who will tell you that balance is a myth, to that I say, are they highly sensitive or introverted types who need careful energy management? And are they finding themselves settling into long term burnout? I’ve talked with more than a few writers who feel burned by their own efforts, have started to feel like they hate writing, and even question why they’re doing it in the first place. Why wouldn’t they, when they’ve committed (consciously or unconsciously) to a program of writing aversion therapy? Instead, I like to see people writing in a long term sustainable pattern, including taking regular days off (I’m not a fan of “don’t break the chain“). It’s easier to maintain in the long haul, and helps keep your momentum and ideas flowing. So if you’re looking ahead to the summer and asking yourself how you’ll get your writing done AND do the other things you’ve got your eye on, give some thought to a highly achievable small increment of writing you can commit to on a small scale. Even five to fifteen minutes a day will keep you in touch with your project and keep you moving forward. I’ve seen more than a few writers in my Writer’s Circle move to completion with projects again and again, using just small increments of time and showing up regularly to do the work. What’s your biggest summer writing stumbling block? I’d love to hear from you in the comments. If you want more on this subject, make sure you check out my free teleclass recording, “Get Ready For Summer Writing“. You may also be interested in my article on “Thinking ahead to summer writing“. 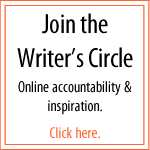 If you’d like to experiment with writing in small increments of time, get a solid writing habit in place, and stay on track with your writing this summer, join the Writer’s Circle. The next session starts soon! Go here to register and find out more: http://JustDoTheWriting.com.